Closed-end lease for 2019 MDX 9 Speed Automatic SH-AWD vehicles (YD4H3KJNW) available from April 2, 2019 through April 30, 2019, available to well-qualified lessees approved by Acura Financial Services. 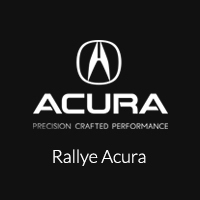 Loyalty eligibility current owners of any 2009 or newer Acura vehicle. Not all lessees will qualify. Higher lease rates apply for lessees with lower credit ratings. Lease offers vary based on MSRP. MSRP $47,295.00 (includes destination, excludes tax, license, title fee, registration, documentation fees, options, insurance and the like). Actual net capitalized cost $38,488.82. Net capitalized cost includes $595 acquisition fee. Dealer contribution may vary and could affect actual lease payment. Total monthly payments $15,804.00. Option to purchase at lease end $27,431.10. Must take new retail delivery on vehicle from dealer stock by April 30, 2019. Lessee responsible for maintenance, excessive wear/tear and 15¢/mile over 10,000 miles/year for vehicles with MSRP less than $30,000, and 20¢/mile over 10,000 miles/year for vehicles with MSRP of $30,000 or more. See dealer for details. MSRP does include Destination & Handling. New vehicle pricing includes all offers and incentives. Tax Title and Tags not included in vehicle prices shown and must be paid by the purchaser. While great effort is made to ensure the accuracy of the information on this site errors do occur so please verify information with a customer service rep. This is easily done by calling us at 516-508-9147 or by visiting us at the dealership.